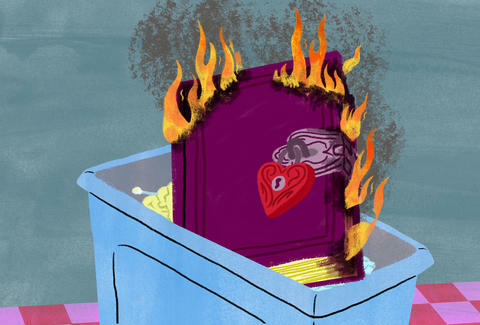 Dating is tough enough -- but breakups are excruciating. We've all got our methods for dealing with bruised egos and broken hearts. Some try to dig out of the rubble as fast as possible, dust off, and move on. Others wallow in sweatpants; eating Doritos and listening to Tom Waits until the pain subsides. But there's also a third group: the avengers. "I met a traveling musician at one of his gigs. We started a semi-long-distance relationship since he went on the road every few weeks. When I asked to travel with him he told me I couldn't tag along since it took away his focus. Sara Pacella is a freelance writer and PR specialist. As an Archie Comics and Heathers fangirl/aficionado, she's Team Veronica. Follow her musings on Twitter @Sarabethbug.